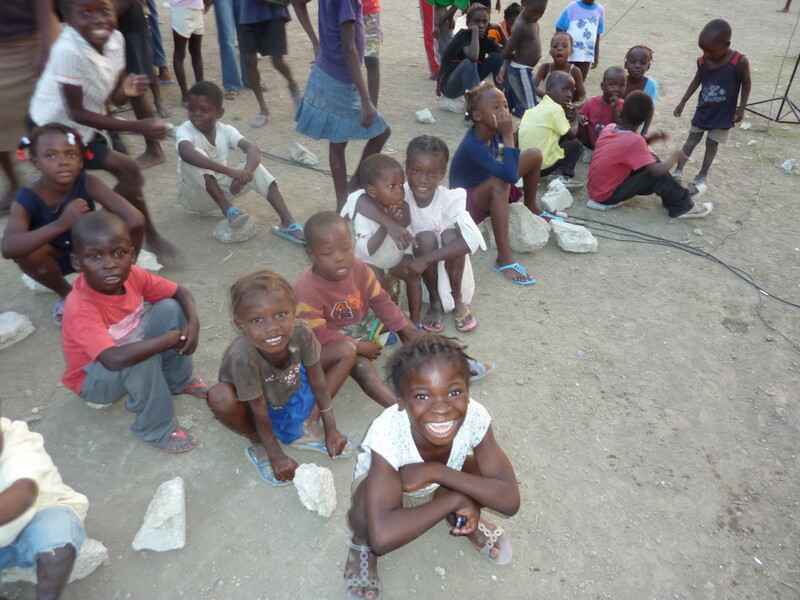 Extending the reach of its film program, the Cube Cinema and its childrens wing, Nanoplex, set up a mobile, social cinema for children affected by the Haiti earthquakes – The HAITI KIDS KINO PROJECT (HKKP). In 2010, less than a month after the earthquake, two Cube volunteers went to Port Au Prince and projected films on buildings and tents, while giving cameras to children to film and explore their own lives. A second group of three returned to Haiti in 2011. Sharing the experience of making and watching films, while offering temporary childcare facilities, the Kids Kino Project is a micro-humanitarian, goodwill project providing an opening for escape, community, emotion and social occasion. HKKP was funded through putting on children’s workshops in the UK, gigs, art, cake and T shirt sales.